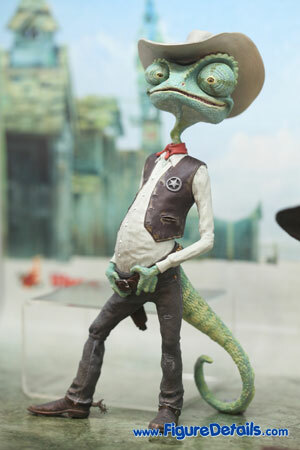 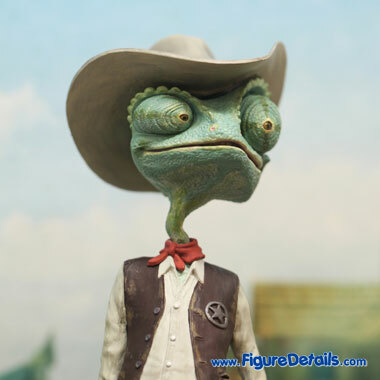 - Rango, detailed sculpture in sheriff look, cartridge belt, pistol with sheath on waist, and detachable cowboy hat. 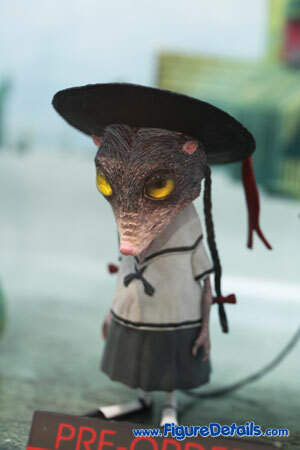 - Priscilla, eyeballs are specially made with transparent effect. 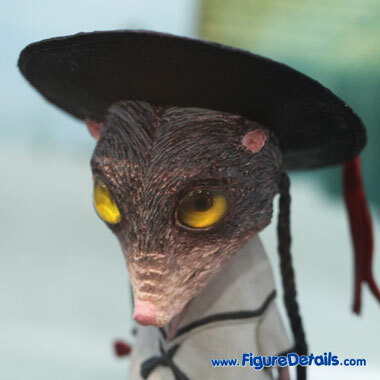 Detailed sculpture with black hat. 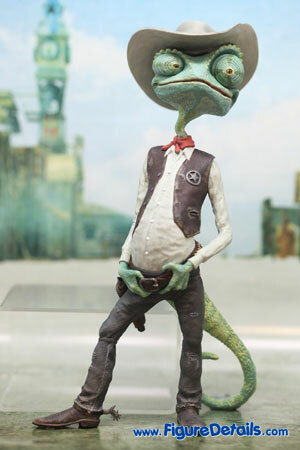 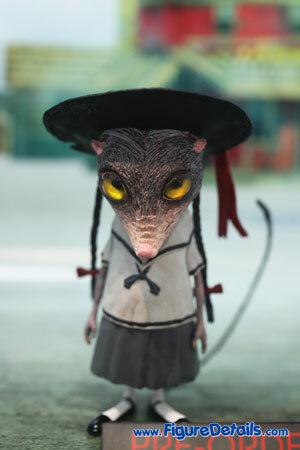 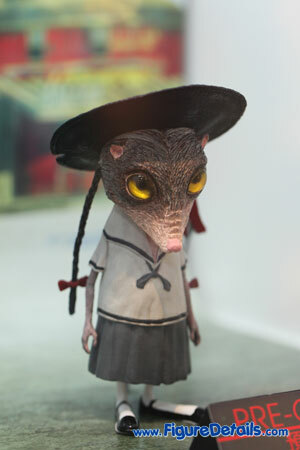 Here I show you the photos of Rango & Priscilla that is now displaying in the Hot Toys store. 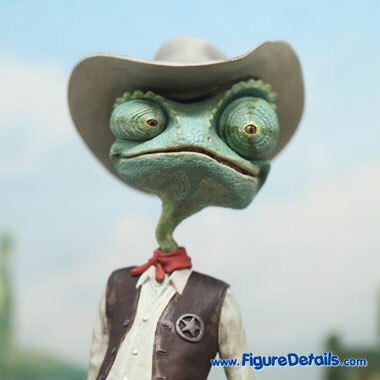 Hot Toys Rango & Priscilla is based on new movie Rango. 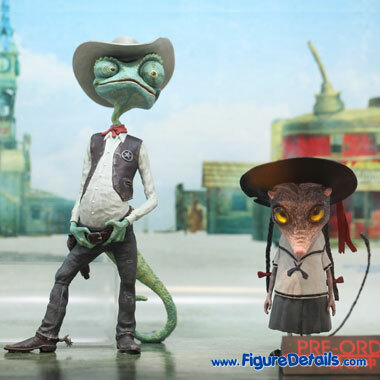 Rango & Priscilla are the first set of Hot Toys Vinyl Collectible Figures that I collect. 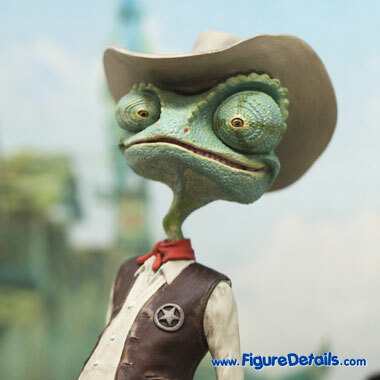 Unlike action figures, vinyl figures usually cannot change their posts. 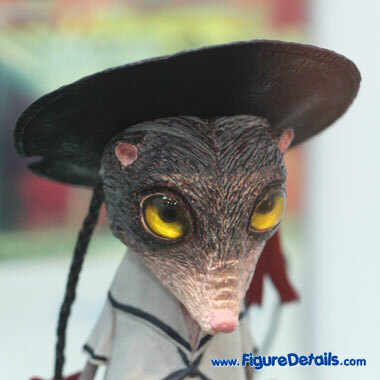 However, vinyl figures usually produce in good looking with details scripting and printing. 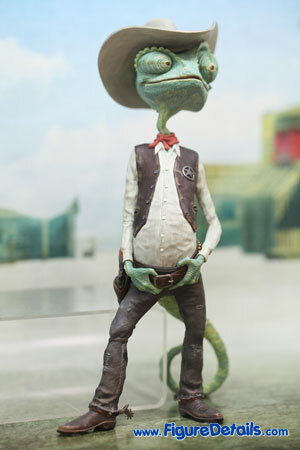 I haven't watched the movie Range yet! 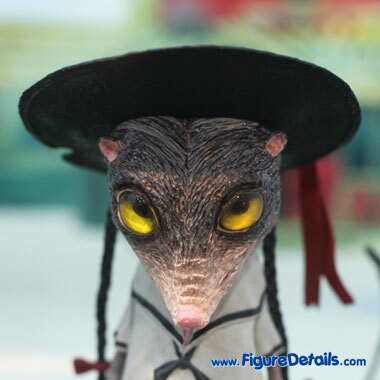 But, I really like the cool looking of Range, and the details of his skin texture.